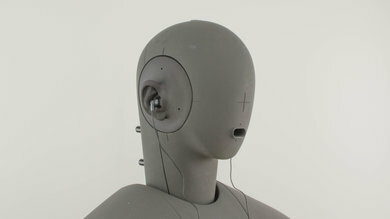 The Panasonic RP-HJE120-K ErgoFit are very basic in-ear headphones with no additional features. They have a decent sound and barely leak, even at high volumes. 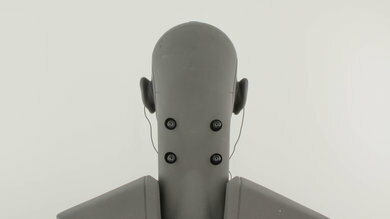 However, they have a typical in-ear fit, which may be uncomfortable for some. They're not very stable and cannot block the ambient noise of a moderately busy office. In-ear fit not comfortable for everyone. The RP-HJE120-K have a very basic and straightforward design. 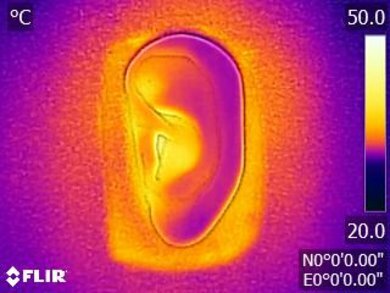 They have a typical in-ear fit that may be uncomfortable for some. They also don't offer any specialty tips for added stability or comfort. They don't have any audio controls and feel cheaply built. 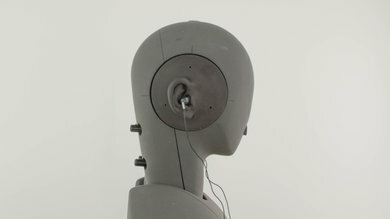 However, they are extremely light, and the minimal design could work for some listeners. The RP-HJE120-K have a simple but bland aesthetic that offers nothing out of the ordinary. 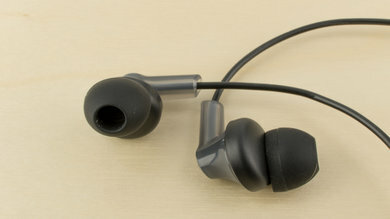 The in-ear buds are a two-tone dark gray and black color scheme. 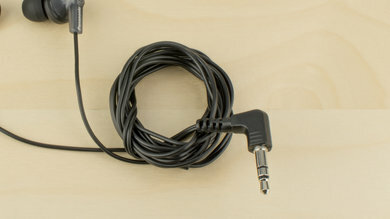 The rest of the design is just a basic audio cable. The minimal look may appeal to some, but they will not stand out in the crowd. The tips of the RP-HJE120 ErgoFit do not enter the ear canal as deeply as some other in-ears and slightly more comfortable. 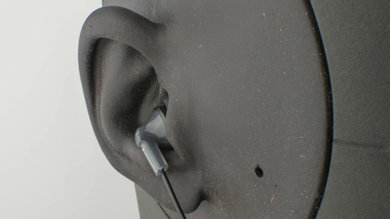 However, if you do not find the in-ear fit comfortable, then you will experience the same issue with these headphones. They also don't offer any unique tips to provide additional comfort, which is slightly disappointing. On the upside, the different tip sizes could help provide a better fit, and they are extremely lightweight. The RP-HJE120-K are super portable headphones. They can easily fit into your pockets, purse or bag and do not take up much space. Their straightforward and basic design make them compact. There is no control module and only the small in-ear buds and thin cable occupy space. Unfortunately, they do not come with a case which is disappointing. Build quality is below average. These headphones feel cheaply made. Their simple design means there are fewer components susceptible to wear and tear. However, the audio cable is relatively thin and could get easily damaged over time. The in-ear buds are also made of relatively cheap plastic and do not look as durable as some other in-ear models. These headphones are not stable enough for high-intensity activities like running or jumping. The in-ear fit and lightweight design make them somewhat stable enough during moderate exercise. Unfortunately, they don't enter the ear canal as deeply as some of the other in-ear models, and they don't offer any special tips to help with stability. 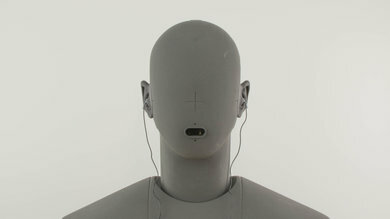 The Panasonic RP-HJE120 are an average sounding pair of closed-back in-ear headphones. They have a decent and well-extended bass, a good mid-range, and an average sounding treble. Additionally, their bass sound noticeably muddy, their mid-range a bit recessed, and their treble is slightly veiled. 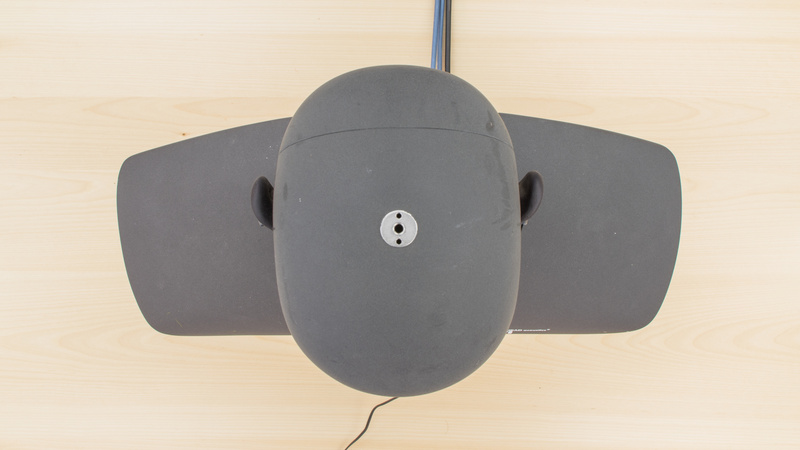 Also, their bass delivery can vary slightly from person to person, and like most closed-back headphones, they don't have an open and spacious soundstage. The Panasonic RP-HJE120 only offer passive isolation. 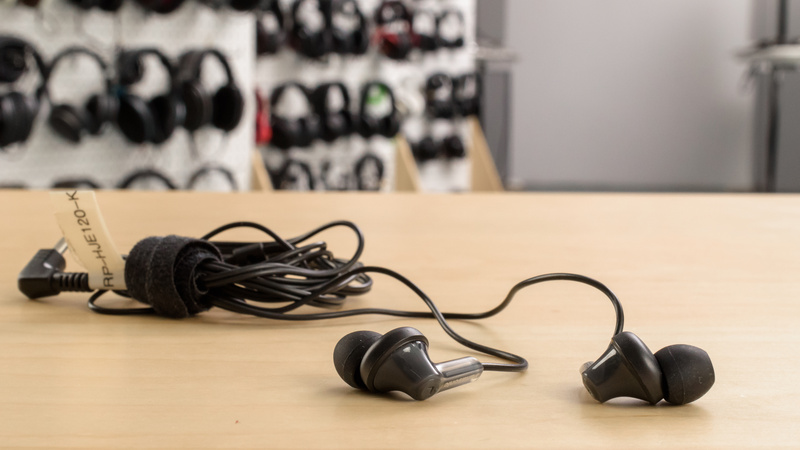 The seal of the in-ear fit can block some high-frequency noise, but it's not enough for the level of noise in a busy office. They're not ideal for commuting unless you play your music loud enough to drown the ambient noise. On the upside, they don't leak much and are barely audible to the people around you even at very high volumes. Poor isolation. 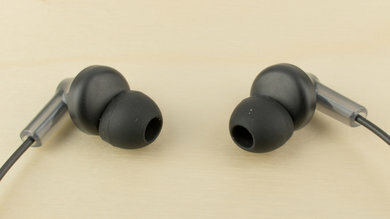 The passive isolation provided by these in-ears, does well in the Treble Range. It provides an average of 30dB of reduction over the region. The performance in the Mid Range however, is below average, as these headphones don't have active noise-cancelling. 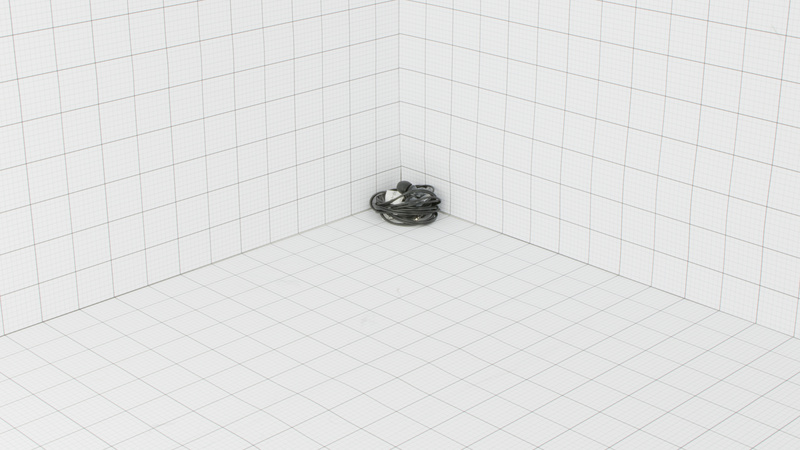 The isolation provided in the Bass Range is non-existent. Very good leakage. Due to the in-ear design, the frequency range of the leakage is very limited and between 5KHz-8KHz. Also, the overall level of the leakage is relatively low, which improves the leakage performance further more. The RP-HJE120-K ErgoFit have a very straightforward in-ear design with no special or additional features. They're not the most suitable in loud environments and feel a little cheap and flimsy. Their sound is also not remarkable. Not ideal for critical listening. They're small in -ear buds that can't create a spacious soundstage and their sound is poorly balanced lacks clarity and is a bit too bass-heavy for critical listening. Below-average for commuting. They're incredibly compact and easy to carry around, but they won't block the ambient noise of busy commute. Decent for sports use. 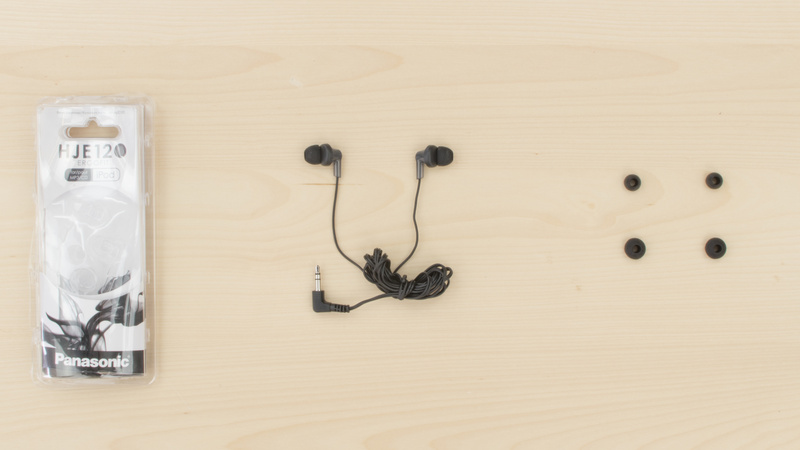 They're super compact headphones that will fit in most pockets and won't be too cumbersome. However, they're not stable enough for strenuous and intense exercise. Decent for office use. They barely leak and won't be audible even at higher volumes. However, they don't effectively block out the office chatter. Decent for home theater use. They lack a bit of range which makes them poorly suited to watch TV from your couch unless you have an audio cable extension cord. However, if you mostly watch movies on a PC or tablet than the relatively short cable and low latency of a wired connection should be good enough.